Every single egg comes from Certified Humane® pasture-raised hens, and that’s just as good as it sounds! It also means each hen gets a minimum of 108 square feet of pasture to roam, and they sure do love to roam. The winds, rain and warming influence of the Gulf Stream all contribute to the lush grass Kerry Gold cows feed on year-round. They produce the sweetest, richest milk in the world, which makes this grass-fed cow’s milk Irish butter taste silky and creamy and glow a healthy, golden yellow.! Many store-bought apple cider vinegars have the mother removed because it gives the vinegar a cloudy appearance, which can lead some customers to believe that the product has gone bad. But this is not the case. In fact, the mother is the healthiest part of apple cider vinegar. Try our brand and you won’t ever want another. Three Trees Unsweetened Original Almond milk is as clean, pure, and simple as it gets. With only 2 ingredients, it’s just like how you’d make it at home… only maybe better because Three Trees uses the whole nut, so you’re getting the fiber and there’s less waste, too! The distinctively creamy and almond-rich taste comes from the quality of the organic almonds used, and the abundance of them. These should have been named Tortilla Chips: The Director’s Cut. Our sister, Vero, made tortilla chips without any grains that taste better than any regular tortilla chip you’ve ever eaten. We were skeptical at first, too, but they’re smooth and crispy and light and refreshing. Right when they pop out the oven, sea salt is added, so you can eat them straight out of the bag or with your favorite dip or salsa. Our kombucha is effervescent and lightly sweetened with fruit juices. These cultured functional beverages come in a variety of flavors and we are sure to have one that is right for you. 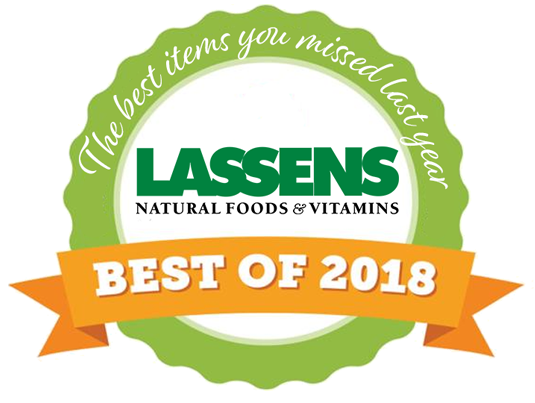 If you have not yet had a chance to try our Lassens branded kombucha, do you self a favor the next time you’re in and pick one up and give us a try. You won’t be disappointed. Uniquely fragrant and tasty coconuts grown in Thailand and harvested at the peak. A proprietary process that maintains the great taste and nutrients while delivering unparalleled quality and safety . This critically acclaimed coconut water, now uses an average of 24% less plastic. There’s no other water like The Mountain Valley. Bottled at a single, protected spring deep in the Ouachita Mountains, it’s rich in minerals and boasts a crisp, clean taste. The Mountain Valley Spring Water is also sodium free and naturally alkaline with a 7.8 pH – perfect for today’s acidic diet. Ready for the world’s best-tasting water? Organic Pasture’s Whole Raw Milk is unprocessed and complete with bioavailable vitamins, minerals, enzymes, beneficial bacteria, naturally occurring CLA and Omega-3 fatty acids. The ease of digestibility of Whole Raw Milk gives those that experience discomfort with processed dairy products, a delicious and natural option. CBD Living Water is made with 100% organic and natural hemp CBD extracts using cutting-edge nanotechnology to infuse natural CBD extract in approximately 9+pH alkaline water. Stay hydrated and get your daily CBD all in one! Each 500 ml bottle of water contains 5 million nanograms of CBD and is highly bioavailable and absorbable. Keep Your Fans Happy And Your Groupies Coming Back For More With Your Delicious Smile. That Smile. 100% Satisfaction. Premium Oral Care. Backed By Science. Uncompromisingly Natural. Pasture-raised bovine hides to ensure a natural, high quality, and sustainable source of the powerful ingredient. Digested and absorbed by the body quickly for maximum benefits. Improves hair, skin, nails, joints and ligaments, and tendon health. Easy to use: Soluble in hot or cold liquids, including coffee, smoothies, and baked goods. Gout is a result of too much uric acid in your blood. Uric acid is usually a sign that your kidneys aren’t cleaning out your blood as well as they should. The other cause of common gout is from eating certain rich foods, which include alcohol, scallops, shrimp, sardines, red meat, gravy, cream sauces, organ meats, dried peas and legumes. Total Cleanse Uric Acid will assist the body’s uric acid cleansing process.